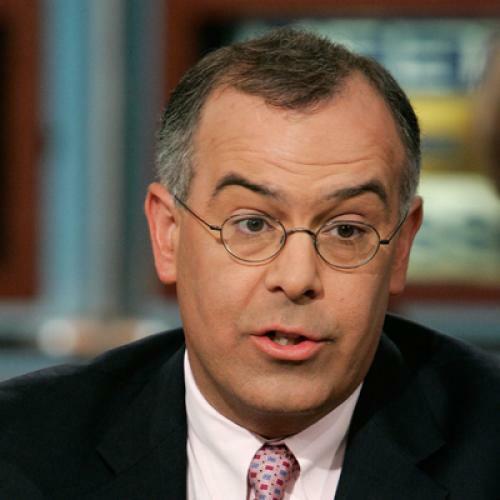 David Brooks has indigestion because President Barack Obama, whom Brooks rather likes, wants to raise taxes on the rich. "He repeated the old half-truth about millionaires not paying as much in taxes as their secretaries." Why is that a half-truth? Because "the top 10 percent of earners pay nearly 70 percent of all income taxes, according to the I.R.S." Oh, please. The top 10 percent pays nearly 70 percent of all income taxes because the top 10 percent makes half the income--49.74 percent, including capital gains, before the recession and only slightly less now. (My source is the World Top Incomes Database, a fantastic Web resource put together by Thomas Piketty, Emmanuel Saez, Facundo Alvaredo and Tony Atkinson. Share it with the class warrior in your life.) The relevant statistic isn't what proportion of the nation's taxes comes from the rich. It's what proportion of the rich's income gets paid in taxes. Brooks cites a Congressional Budget Office report that says people in the richest 1 percent pay 31 percent of their income in taxes to the federal government. Boo hoo. What he doesn't say is that back in 1979, on the eve of the Reagan revolution, the richest 1 percent paid 37 percent of their income in taxes to the federal government, even though its share of the nation's income was much lower than it is now (34 percent, including capital gains). Effective tax rates on top earners didn't change as much as many people think during the past 30 years, but they did go down (except for a brief uptick in the early Clinton years). For the very richest Americans, the drop was more precipitous. As recently as 2000 the 400 richest Americans paid 22.3 percent of their adjusted gross income in federal taxes. In 2008 (the last year for which data are available) they paid 18.1 percent. Again, this occurred while their income share was going up, not down. Obama isn't even talking about making the rich pay a higher proportion of their income than the middle class in taxes. God forbid! He's merely saying (with his proposed "Buffet Rule") that the rich shouldn't get away with paying a smaller proportion. In doing so, he is repeating "the populist cries that fire up liberals but are designed to enrage moderates and conservatives," according to Brooks. He is being "mean and intransigent." Have our politics really reached the point where the president must turn a deaf ear to a billionaire (not a "millionaire") who suggests that he shouldn't be paying proportionally less in taxes than his secretary? Jeez, demagoguery ain't what it used to be.